Make your own luck with these slot machine themed Clipper lighters. These mini Clippers are super pocket friendly 2.5 inches tall by 0.5 inches in diameter. 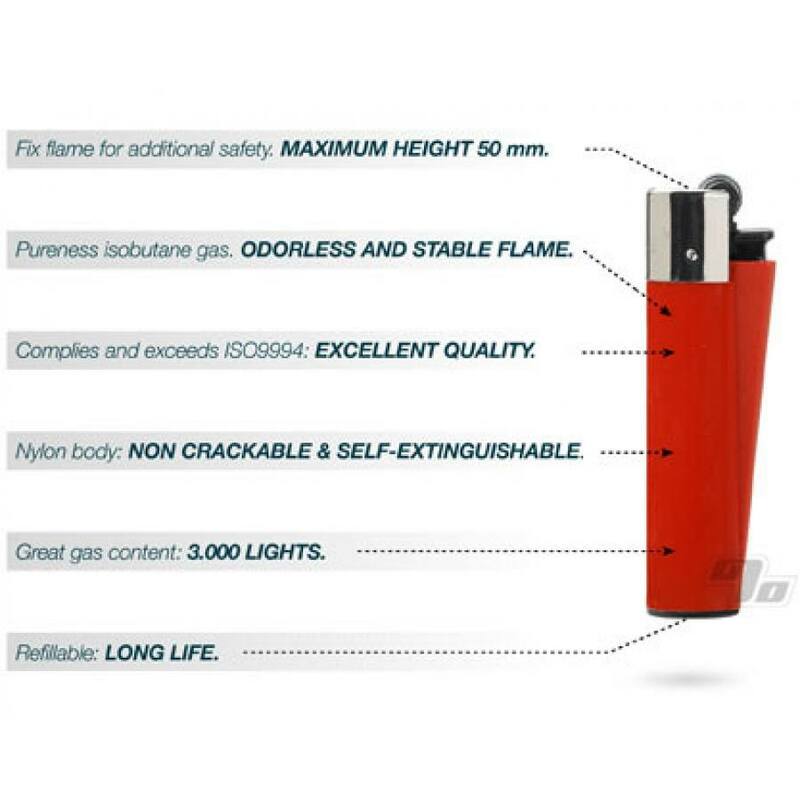 Clipper Lighters are definitely not your average lighter. Clippers are famous for their reliability and quality. Each one is made in Spain from a super strong nylon material instead of cheap plastic. Won't crack and explode like cheap lighters. 3000 lights from each one, opens beers w/ease, integrated poker (for poking your joints) and it's even refillable. Clipper lighters have a high recycled content incorporated in each. If that wasn't enough, every time you refill you save a liter of oil over buying a new lighter. Saving money and the environment! If you have a design preference mention it under Special Instructions when Checking Out and we'll do our best to match from available stock. 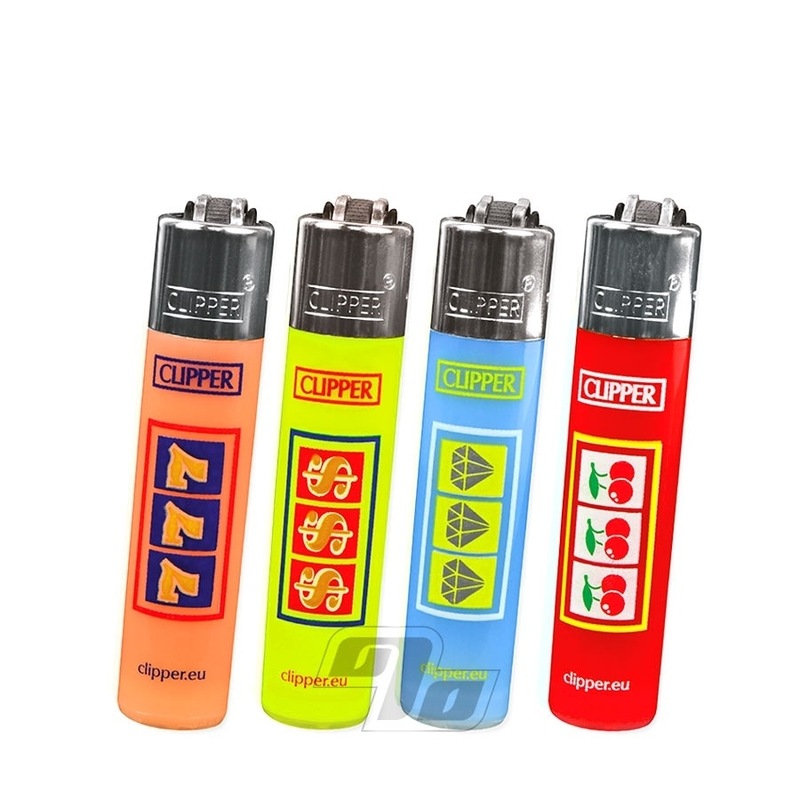 Let us know or to keep it easy, just order 4 and we'll automatically give you one of each mini lighter color (with a big discount too). These lighters are too compact for our arthritic hands.